Begin your evening in Italian style. 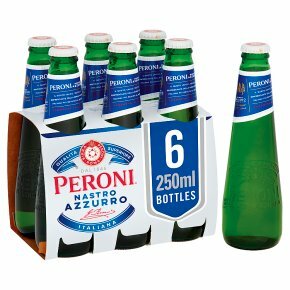 The Peroni Nastro Azzurro Piccola bottle offers a stylish, unique and unquestionably Italian way to start your evening. Created for those special nights where style, taste and enjoyment are paramount, enjoy Piccola on its own or as the perfect accompaniment to aperitivo dishes.